“The power of intention.” Ever heard of it? Probably. It’s a phrase that seems to be at the tip of the tongue for many spiritual teachers, life coaches, and wellness gurus these days. The expression itself is easy enough to understand, but lately, we’ve been wondering about what “intention” really means. What gives intentions power, and how do we get the most out of them? 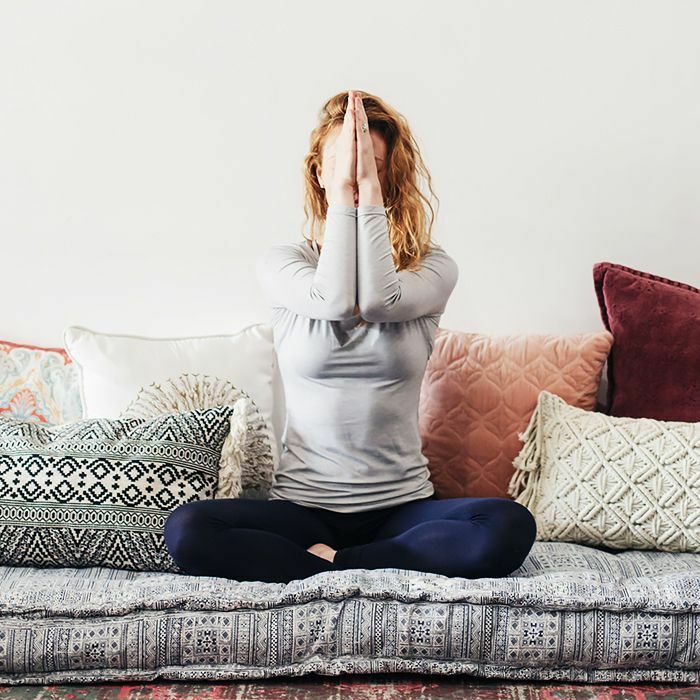 To help us wrestle with these questions and identify our own intention for the month ahead, we spoke with Kelsey Patel, a leading meditation teacher, reiki master, intuitive healer, EFT specialist, yogi, and spiritual empowerment coach. Read on for Patel’s insightful wisdom on why intention has the power to change your life. Okay, so picture where you want to go. Easy enough. But how does intention help get us there? “An intention is so powerful because it slowly shows people how incredibly powerful they are. Oftentimes people allow the day, or the week, or the month to happen to them, and when you set an intention, you are activating your receptivity and manifesting and putting out that which you intend to attract and call into your life, and that is the power behind it. I’ve seen this in my own life and the lives of hundreds of people who I work with.” Patel says. Still unsure? Here’s an example: “Your intention could be to have an amazing meeting with your boss, and to have a new project that you’re excited about come to your desk,’’ Patel says. Others might be broader—to take more time for your physical health; to focus on a relationship; to save money for a new car. “Part of that ritual is finding a few moments of gratitude for things that have happened in the month you’re completing. Gratitude is a very important part of the intention-setting process because if you’re always just wanting and wanting and wanting—and not finding the peace or the gratitude in your life—you’re in a constant state of scarcity," Patel says. While setting monthly intentions sounds doable enough, it’s also important to remind yourself of them weekly and daily. Patel likes to reconnect to her broader monthly intention each Monday, and also set a couple of goals, or intentions for herself for that week. A couple of actionable items will help you “start to feel connected to that larger momentum that you have,” she explains. Sigh. Reading that just feels calming, doesn’t it? Armed with newfound knowledge and deeper curiosity, we decided to create something new for THE/THIRTY community: a collective monthly intention. Of course, everyone’s needs are personal and specific, but as we talked through this topic together, several themes kept popping up amongst us. We may share a common intention, but we’re excited to see how this manifests differently for each of you. Will you join us? Let us know below. Want more health tips? Follow us on Pinterest.